A Dinner Cruise is an excellent dinner option while on safari in Victoria Falls. The dinner cruise is an enjoyable and relaxing way to spend your evening in Victoria Falls. It truly is a luxury safari on water. Victoria Falls dinner cruise is a fantastic dining option while on safari in Victoria Falls. 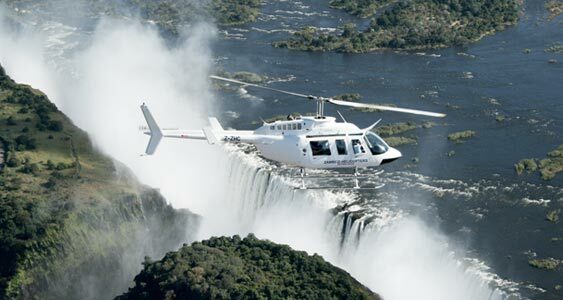 Enjoy a Zambezi style gourmet dinner above the Victoria Falls. The Victoria Falls dinner cruise serves a four course meal that includes drinks (wines, local beers, coffee) delicious starters, soup, main course and dessert. The dinner cruise departs from the Zambezi River cruise terminal and initially cruises downstream towards the Victoria Falls. Here you can get a glimpse of the spray from the falls. You will then cruise upstream to catch the sun before it sinks into the Zambezi River. You are treated to a beautiful Zambezi River sunset. As the sun goes down you are served the first course of your dinner. You will continue to cruise upstream as you enjoy the warm African evening and you are served your delicious dinner. All the meals served have been freshly prepared on board by the experienced chefs. The dinner cruise is an enjoyable and relaxing way to spend your evening in Victoria Falls. It truly is a luxury safari on water. The Dinner cruise takes place on board either the safari style Ma Robert, or the luxurious Zambezi Reflections. These boats are dedicated floating restaurants and offer the ultimate river dining experience. A dinner cruse is great value for money as it combines a sunset cruise with a four course dinner. A standard sunset cruise needs to dock in the evening by 6pm. However a Victoria Falls dinner cruise allows you the luxury to float on the Zambezi River while you enjoy a delicious meal until 8pm. The dinner cruise menu consists of a starter platter of artisan of smoked and cured meats with a balsamic demi-glaze, followed by the chef’s daily soup with freshly baked bread rolls. The main course is served with seasonal vegetables and roast potatoes. You have a selection of the fillet of beef with red wine jus, bream fillet with lemon butter sauce or stuffed chicken breast. and of course for desert you have a selection of summer fridge cheesecake or sliced fruit platter. What an amazing experience! Bank got buck! Would recommend this any day of the week! The food was out of this world! Service excellent! Amazing views! We even had a couple getting engandge on our trip! Really worth the spending and not expensive at all, for what you get!!! Do not miss out!!! Book your seat!